#WellnessPet: See And Feel The Wellness Difference! 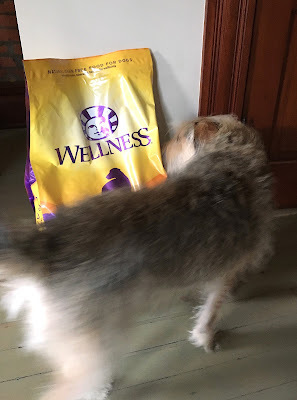 This post is sponsored by Wellness and the BlogPawsTM Pet Influencer Network™I am being compensated to help share the availability of Wellness Products at PetSmart, but we only share information we feel is relevant to our readers. 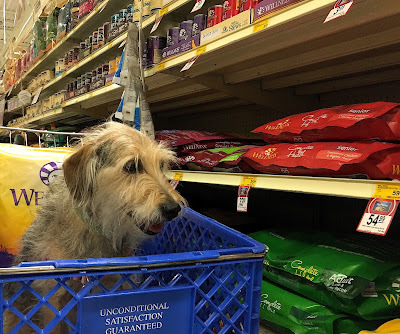 Neither Wellness nor PetSmart is responsible for the content of this article. Hey, look at all this Wellness dog food at PetSmart! I've been eating exclusively Wellness® Complete Health™ Grain Free recipe for nearly a month now and both Parental Unit and I are lovin' the Wellness Difference we see and feel. And we're especially excited to help our readers explore the reasons behind the quality food that Wellness offers for your pet. 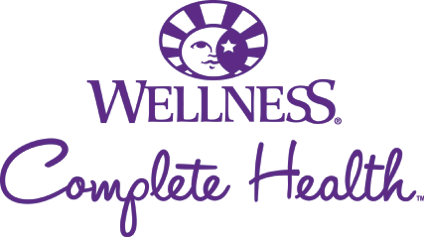 Don't miss the special offer from Wellness at the bottom of this post! The Wellness Difference is a lot more than just being "natural". The Wellness team has been carefully crafting its dog food since 1926! In the 1990's, Wellness began working closely with animal nutrition experts, veterinarians and scientists toward a single goal: To develop a food that would revolutionize the pet food industry. Wellness believes that the "Wellness Difference" "means that every ingredient has a purpose in every food we make." And it's a lot more than being "natural" or what is not included, like fillers or artificial ingredients — those criteria are givens for the folks at Wellness. Ingredients all looks great to me! For example, Wellness Complete Health Grain Free recipes for dogs uses only high quality proteins sourced from trustworthy suppliers as the first ingredient in all Wellness recipes. Does deboned poultry, lean meats and fresh fish sound good to you? Healthy fats plus fresh and dried fruits and vegetables round out Wellness recipes. The recipes are all rounded out with healthy fats like chicken fat, salmon oil and canola oil, plus fresh and dried fruits and veggies that provide lots of nutrients, flavor and fiber. And let's not forget the Prebiotics and Probiotics added to help restore bacterial balance in your dog's intestine and support healthy digestion. Parental Unit takes both of these "biotics", too! 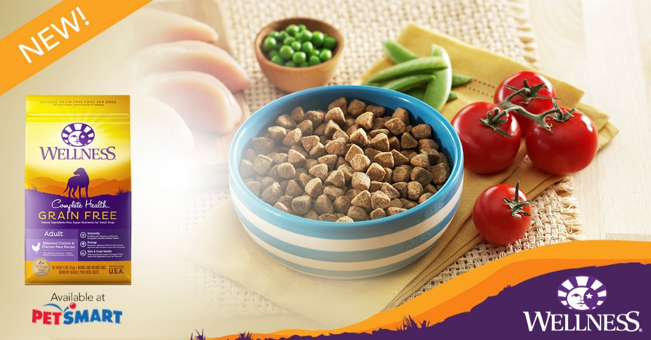 We think feeding your beloved pooch only the highest quality, wholesome food is just plain smart. Like Parental Unit says, if she carefully selects and prepares only the top-of-the-line food for herself, why wouldn't she do the same for me? What quality ingredients and natural nutrition translate to is a healthy dog full of zest for life and boundless energy to run and play! This is The Wellness Difference! Why aren't you running and playing, Parental Unit? Here's a Special Offer available only at your local PetSmart store or online if you prefer: SAVE $5 OFF ANY 24 LB. BAG of Complete Health Dog Food. But hurry! This offer ends on 11/30/2016! While you're at it, why not visit Wellness pet food on their social media channels and learn more about their quality food: You can find Wellness on Facebook, Twitter and Instagram. Check 'em out! Good choice, Edward and Lily! Too bad parental units can't find a food that would make them experience the wonderful feeling of a food that was good for them and tasted great. I feel I need to share this with my followers to give them the opportunity to choose Wellness food for their pets.